I thought that dinosaurs could be blue so I made my dino pic that color. I don't know what type of dinosaur it is - maybe an Ornithomimus because they are my favorite. 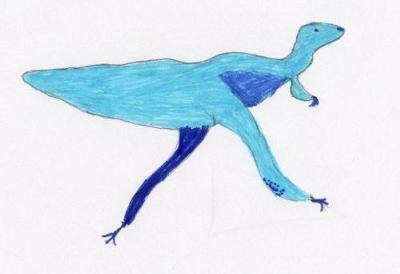 Great ornithomimus picture Ella. Thanks for sharing it with us.